Removal ProcedurePlace a collecting pan underneath the oil filter. Use EN-44887 wrench to remove the oil filter cap (1) and seal. Caution:This engine uses a special high performance oil filter. Useof any other filter may lead to filter failure and/or severe enginedamage. Remove and properly dispose of the oil filterinsert-(2).Raise the vehicle. Refer toLifting and Jacking the Vehicle.Place a collecting pan underneath the oil drain plug . Remove the oil drain plug (1) and seal (2).Installation ProcedureClean the oil drain plug thread and the thread in the oilpan. 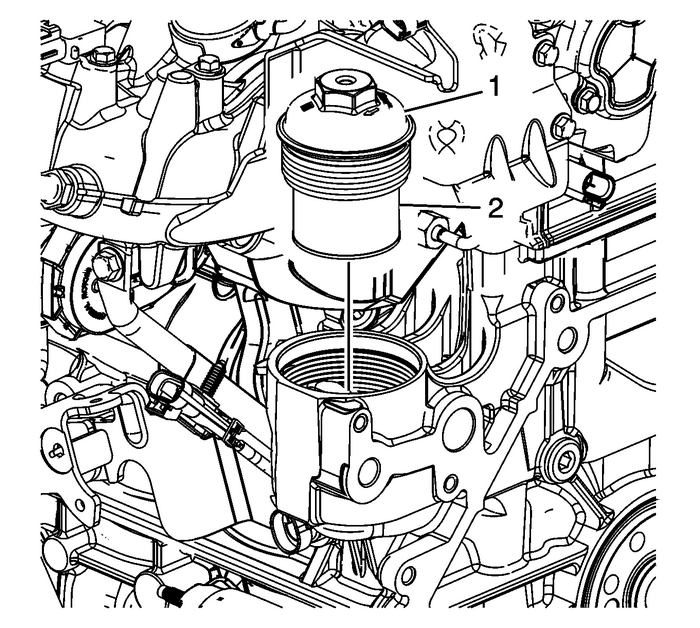 Install a seal-(2) to the oil drainplug-(1). 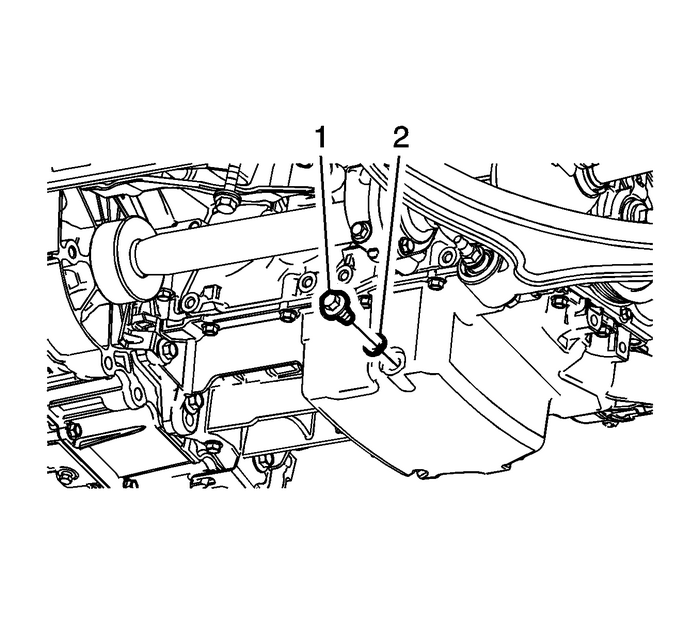 Install the oil drain plug to the oil pan and tightento-25-Y(18-lb-ft).Lower the vehicle. Caution:Over torquing the oil filter cap may cause damage to the oilfilter cap resulting in an oil leak. Note:Coat the oil filter seal with NEW engine oil. UseEN-44887wrenchto Install a NEW oil filter-(2) and a NEW sealand tighten the oil filter cap (1) to22-Y(16-lb-ft). Caution:Using engine oils of any viscosity other than thoseviscosities recommended could result in engine damage. Use specified volume of engine oil with the specifiedviscosity class.Start the engine and allow it to run until the oil pressurecontrol indicator goes off.Inspect the engine oil level.Fill in NEW engine oil. Refer toEngine Mechanical Specifications.Reset the service interval indicator.